GridCast: live and behind the scenes of grid computing: Lego blocks and developing sustainable models..
Lego blocks and developing sustainable models..
National Grid Infrastructures (NGI) are in transition at the moment strategically adapting their structure to become more commercially orientated. But what lessons can be learnt from other industries? Yesterday, I listened to Owen Appleton from Emergence Technology Ltd, who emphasised the importance of defining NGI service portfolio. He also provided a 'Sustainability NGI checklist' applying lessons from ICT service management (ITSM) that could work for e-infrastructures. IT service management is a prerequisite outside academia. While all active NGIs are working hard to provide value to a series of customers, it is often difficult to define the exact customer segments and the set of services. Owen's advice stems from a roadmap for improving operational e-Infrastructures carried out by the gSLM project. Their results were published in August 2012, after two years of research with EGI, on how to adapt IT Service Management to grids and other e-Infrastructures. The checklist is below, but if you are interested do check out the slides for more details. Think about your capabilities. 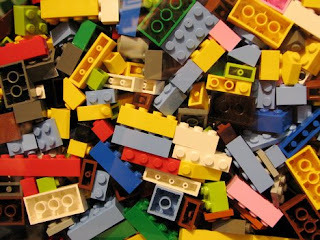 This is where the lego analogy comes in, as lego blocks all have different functions - some are common and popular, whereas some are rare and specialised. Based on this, NGIs can build/define models (services) from the blocks (components) so while some people may want to build their own thing, others may want to buy a built model. Write a service portfolio. This should examine capability (e.g. tech expertise, location etc. ), feasibility (e.g. cost estimation, guarantees) and marketability (e.g. competition and usability). Address your customers and demand. Have a clear value proposition (i.e. ensure you define it and express it clearly) and make services attractive to end users (i.e. easy to use). Manage service levels. Make users define the required service level (through SLAs) and offer meaningful guarantees. The next speaker from the session was Tomasz Szepieniec from the PL-Grid project (the Polish NGI). The PL-Grid provides an excellent example of how to develop an NGI to a service management structure to achieve sustainability. The Polish NGI is currently involved in a follow-up project (called FedSM) along with EGI and the Finish National Infrastructure, CSC.